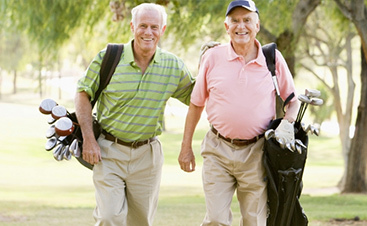 Long Term Care Insurance makes certain you won’t be a burden on your family. A: When a person’s health becomes compormised to a point where it is not safe to be alone, they require long-term care. The goal of long-term care is not to cure an illness or condition, it is to help the person attain and maintain an optimal level of functioning. Q: What triggers Long Term Care? A: Long-Term Care is triggered when a person is not able to perform 2 or more activities of daily life or suffers from a cognitive impairment such as Alzheimer’s or severe memory loss. Q: Is it for Nursing Home care only? A: NO. Today’s policies cover a variety of services including: home health care, respite care, hospice care, assisted living facilities, adult day care centers, community based services and nursing home stays. Most care starts in the home and some policies even pay for loved ones to provide care. Q: How are benefits paid? A: Benefits are paid through either a reimbursement method or an indemnity method. Reimbursement method will reimburse the client for any qualifying charges and requires the receipts from care cost to be kept. Some policies pay on a daily reimbursement schedule and some pay on a monthly schedule. The daily schedule allows charges up to a specific amount each day whereas the monthly allows all charges to be added up to a specific monthly limit. Any unused money for the day or month will stay in the policy for future use. The indemnity method simply sends the client a check for the specified amount of the contract and allows the client to spend the money as they wish. Receipts are not required as the client receives the full monthly benefit each month once they are on claim and can bank any unused money. Click Here to learn more. Q: Am I too old and is it hard to qualify for coverage? A: Things have changed greatly and we have more options available now than any time before. Many plans let people up to age 85 qualify and medical underwriting on the new asset based plans is easier than traditional plans. If you are not in a care situation or suffering from a cognatitive impairment, you should be able to qualify for coverage. A: Each person must consider his or her current health, age and financial situation in selecting a policy that will offer the proper coverage. Most policies offer a wide range of coverage limits from just a few years to a life time of coverage all with varying reimbursement amounts. You may design your own coverage limits based on your personal needs. 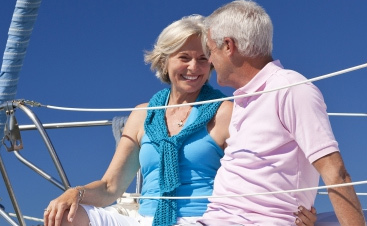 Q: When should I buy Long Term Care Insurance? A: You will never be younger or healthier than you are today. Because most policies require medical underwriting, your age and health will directly affect how much protection you get for your dollar and whether or not you qualify for coverage. You will almost always get more coverage for the same investment by starting sooner. In other words, it will not save you any money to wait. Q: What does Medicare pay? A: Medicare can pay for the first 100 days (days 21-100 has copay of $157.50) of skilled nursing care after a qualifying 3-day stay in the hospital. However it does not pay for care after a person has reached a point where they are not improving. Medicare is for acute care as opposed to long-term care. It does not pay for prolonged chronic care or cognitive impairment such as Alzheimer’s or Dementia. Q: Is Medicaid an option for Long-Term Care? A: The short answer is no. Medicaid is a safety net program that spends most of it’s resources on end of life care for those who have no financial resources. Although many attorneys suggest you can use Medicaid planning as an option, you essentially have to give away or spend down your assets at least 5 years before you will be eligible. Medicaid is a joint effort between states and the federal goverment so coverage and quality of care varies greatly between different areas and it does not provide a comparable alternative to private long-term care options. If you have any meaningful assests or income, you will not qualify for Medicaid until you spend down to required levels set forth by your state. Q: Do I have to pay on-going preimums to have a plan? A: No. New plans allow you to use assets and savings you already have to set up a plan without paying any premiums. These plans will also pay you back if you never use them. Q: Are there pay as I go options with level premiums? A: Yes, there are also new plans that have a guaranteed level premium and will pay you back if you never use your plan for long-term care. These plans eliminate the “use it or lose it” feature of older traditional plans and guarantee that you will never see a premium increase over the life of the policy. 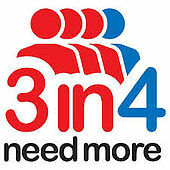 525 Advisors is proud to be a local representative of 3 in 4 need more Association. 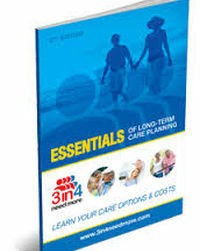 We will be glad to send you this free book on long term care planning. 70% of 65 year olds will need some type of long term care. Self insuring is obsolete and the least efficent way to pay for care and puts all your assets and income at risk from the high costs of care. New rules allow you to set up plans that cost you nothing if you never need long-term care. 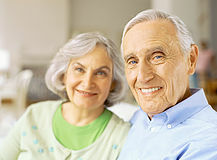 Age and health are the two main factors in determining the amount and costs of insurance programs. Long Term Care Insurance provides a tax free stream of income to pay additional costs associated with an extended care need. Medicaid requires a person to spend-down their assest to qualify. Medicaid puts the goverment in control of your care options.